Over time and with continued use, your swimming pool will undergo significant wear and tear. Not only will deterioration make the pool appear aged, but it can also render it less energy-efficient as well. To preserve the life of your pool, here’s a helpful guide to pool repair and rehab. What Necessitates a Pool Rehab? Your pool is heavily affected by environmental factors that make it less functional over time. These factors can include everything from harmful UV rays to calcium build-up and chlorine damage that wears away at the lining. 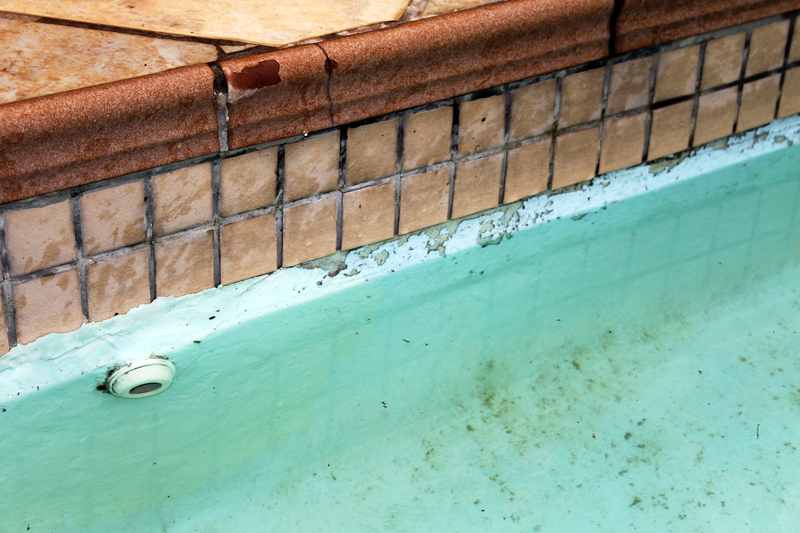 When this deterioration occurs, a pool rehab will be necessary to keep your pool running efficiently. What Issues Does a Pool Rehab Address? Each pool rehab project will look slightly different, as each one is designed to target the specific issues of a particular pool. Sometimes this can be a tile cleaning or acid wash to remove harmful build-up, a resurfacing to address surface cracks, or a pool equipment repair to address internal or external damage. In the case of more severe issues, a reconstruction may be necessary to add features such as a new pump for safety and efficiency purposes. Pool rehab services offer numerous benefits to homeowners that can save them money long-term. One major benefit is increased energy efficiency, which is achieved through updated pool equipment. Since older pools use older components, they often require more energy to filter the water and keep it clean. Another benefit is that a pool rehab can make your pool safer and more child-friendly through work like leveling the deep end or incorporating a kid-friendly staircase. A rehab can often include a resurfacing with aggregate as well, which will better seal the pool and make it resistant to leaks. If you need a pool repair or pool rehab, put your trust in the experts at Destination Pools in Columbia, IL. Since 2008, this family-operated company has offered customers a total package of service for their outdoor spaces, including reliable pool construction. Providing everything from custom pool design to safety covers and ongoing swimming pool maintenance, they’ll ensure your pool is made to last for years to come. To get your pool rehab underway today, give them a call at (618) 281-7776 or visit them online.